YOUR SEARCH IS OVER!! 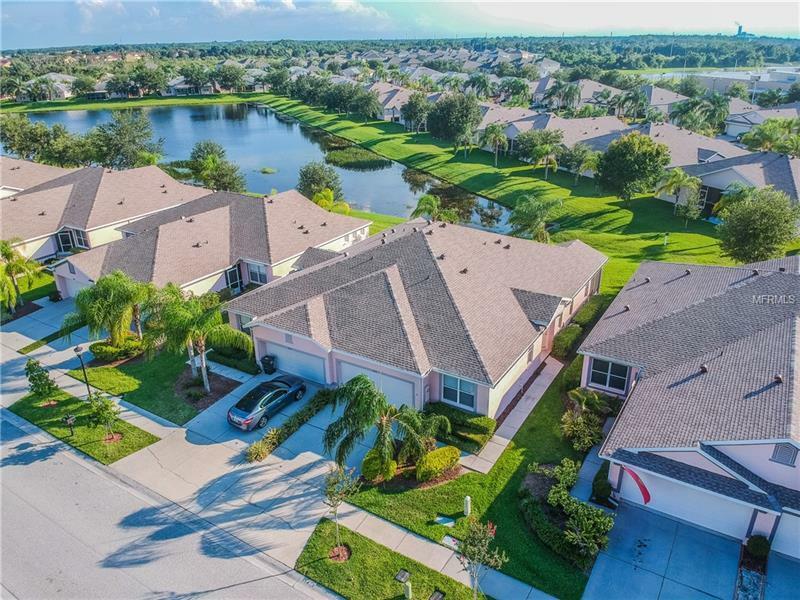 You don’t want to miss you chance to see this BEAUTIFUL “MAINTENANCE FREE” single story VILLA, located in the heart of Riverview in the desirable “Rivercrest” community. Close to shopping, restaurants, new St Joseph Hospital and easy access to I75 and US 301. This villa features 3 bedroom, 2 bathroom, 2 car garage, pavered porch, POND VIEWS, and the open layout is perfect for any family!! The Chef of the house is going to love this kitchen! Plenty of cabinets, all stainless appliances include a new flat top range, built in microwave, dishwasher, and side-by-side refrigerator, and there is a breakfast/serving bar. The kitchen opens to the great room and covered porch, perfect to relax on a nice Florida evening! Inside laundry is right off the kitchen and leads out to the 2 car garage. The main living areas have all tile and the bedrooms have BRAND NEW CARPET IN BEDROOMS. The large Master Bedroom has 2 walk-in closets and master bath features dual sinks, walk in shower with separate tub. The community is maintenance free, lawn care, grounds is provided. This villa shares in the Rivercrest recreation facilities. Two beautiful pools, water play area, park, playground, tennis courts, with card access.